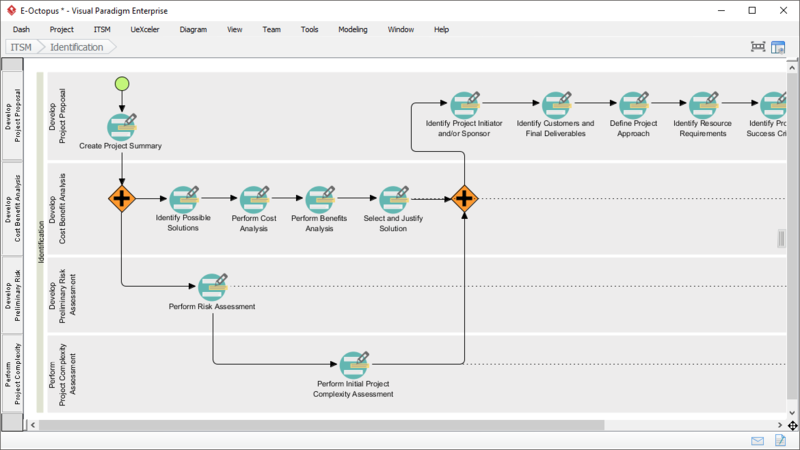 Step-by-step guide-through process for project management, with instructions, samples and tools for incremental deliverables development. 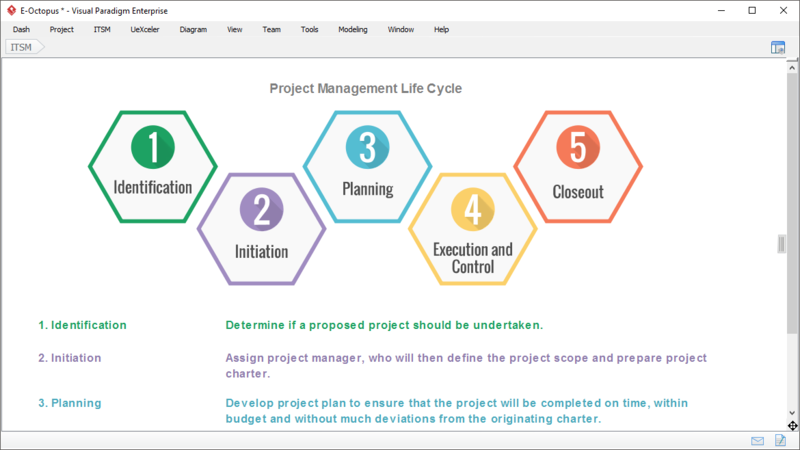 Project Management Lifecycle Navigator lets you traverse around development phases easily. Each of these phases incorporate project management best practices and heuristics for your team to follow, and obtain the best result and ROI to fulfill the goals, objectives and strategies of IT projects. Each of the project phase consists of a set of activities, and each activity consists of a set of steps required to perform. 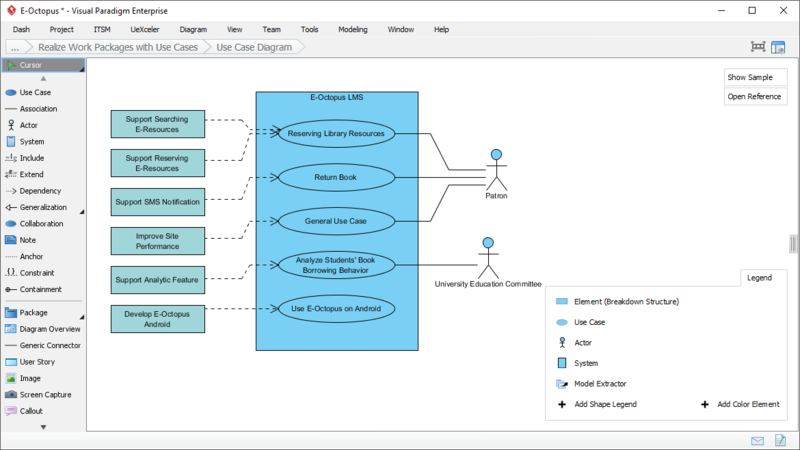 Detailed instructions, samples and project management tools required are embedded inside these activities, so that your team can focus on the real work instead of frequently referring back to any standard manual and procedures. 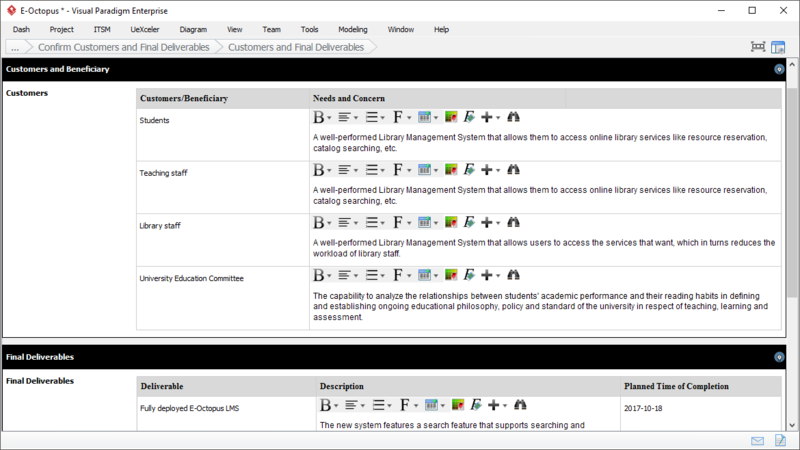 Progress indicators are provided to reflect the progress and status of work. Just-in-time and just-enough instructions and samples are embedded right within the project management activities that you are going to perform, saving your time from searching around the Internet for what it is and what has to be done. 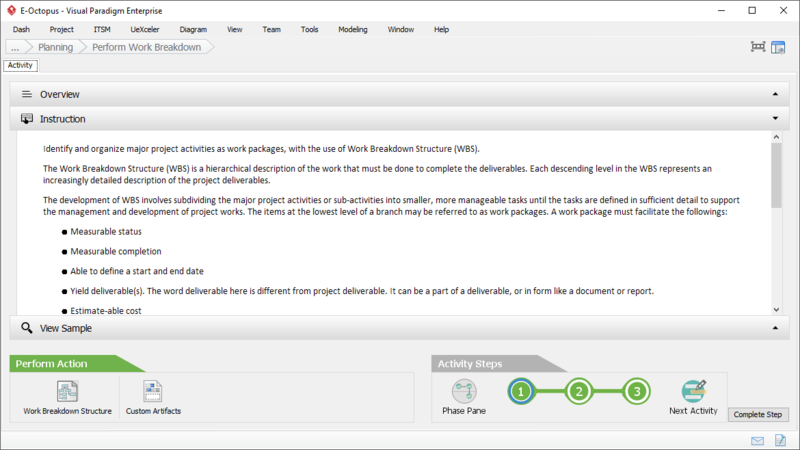 The project management toolset provides out-of-the-box deliverables templates which are associated with the pre-defined work items and forms. 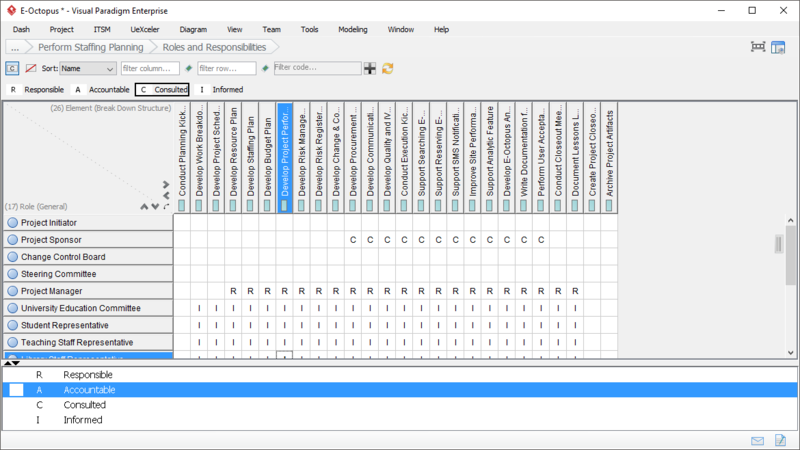 Simply perform the analysis and fill-in the forms. The information collected in the form you filled in, will be consolidated incrementally for generating project deliverables. 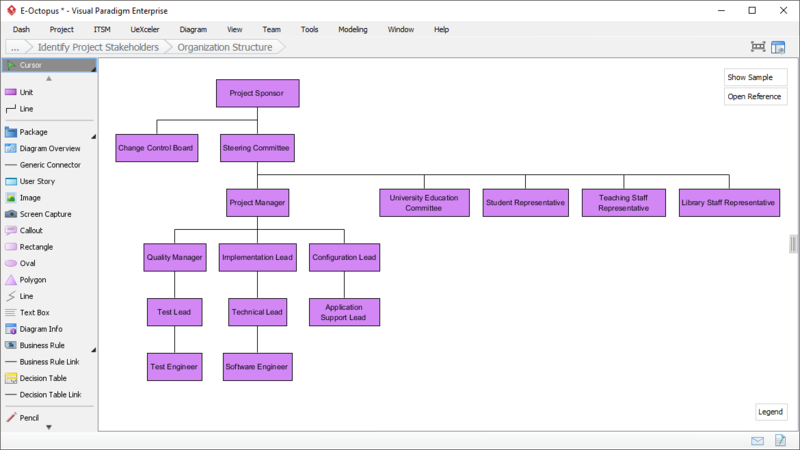 Besides form filling, the project management toolset also features a set of project management diagrams and tools like Organization Chart, Work Breakdown Structure, BPD, PERT Chart, etc. 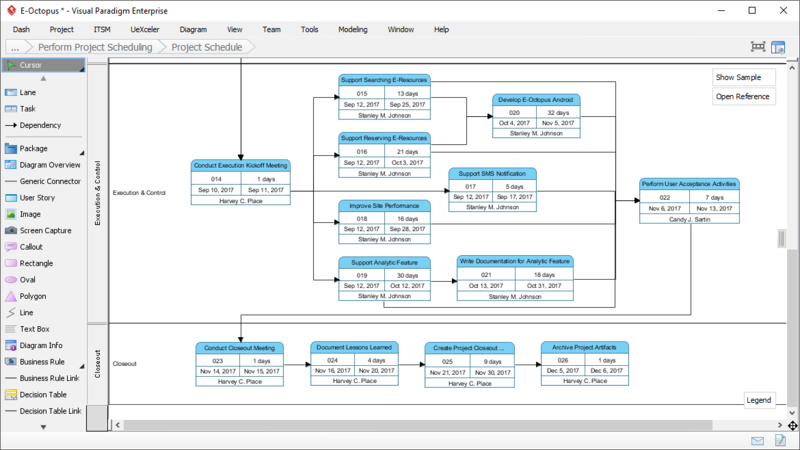 These tools are seamlessly integrated with the project management lifecycle, enabling you to visualize ideas in forms of diagrams. 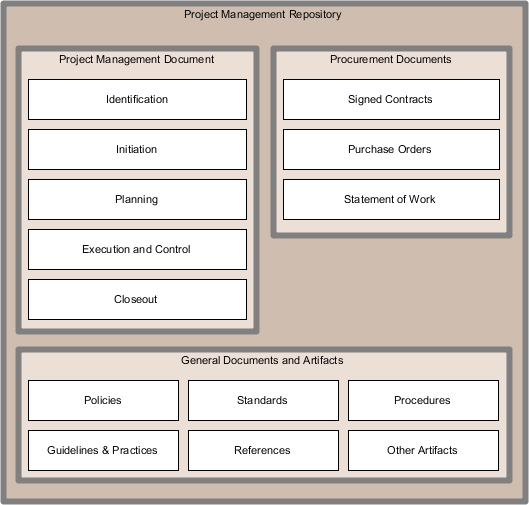 The Identification phase is one of the five development phases in the project management process which is used to determine the complexity of a project. 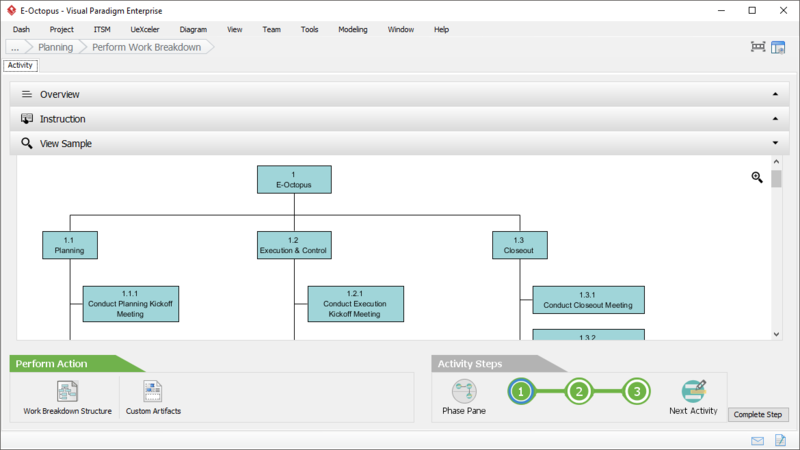 The project management tool provides you with four levels of process schemes (aka. 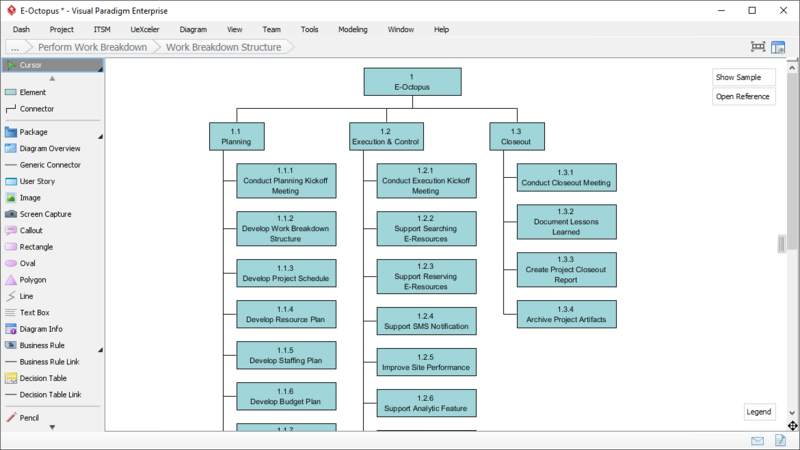 Project Management Scheme), so that you will never be bound by a one-size-fit-all solution. As you progresses phase by phase and works have been done step-by-step incrementally, the information will be collected from your work in background in forming different project management documents, known as deliverables. All these deliverables will be generated, versioned and archived in a well categorized visual File Cabinet. 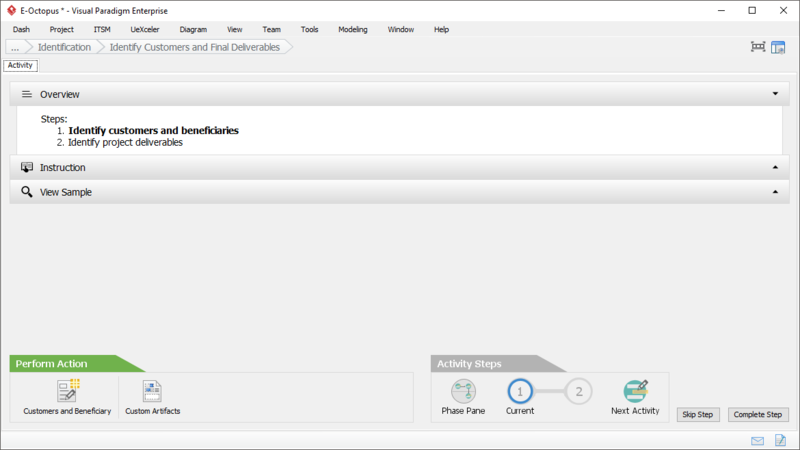 Work collaboratively by dispatching process activities as tasks to different stakeholders, through Tasifier, the Task Management tool. 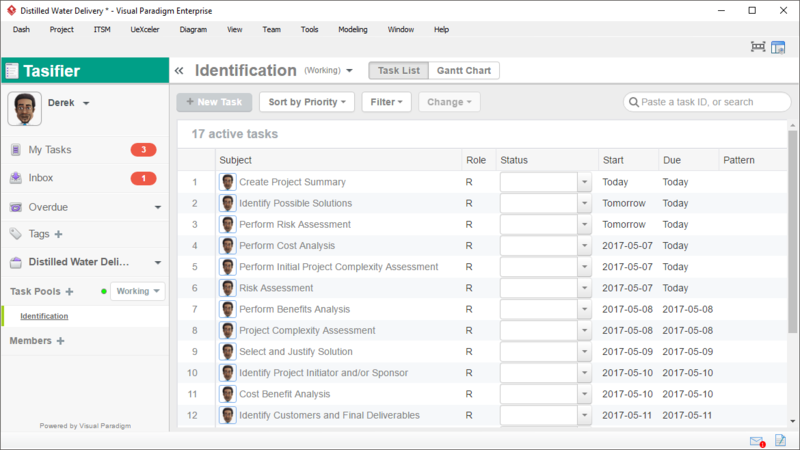 You can set the start and due date, instructions and add attachment to the tasks, keep monitoring the progress of work with Gantt Chart, etc.